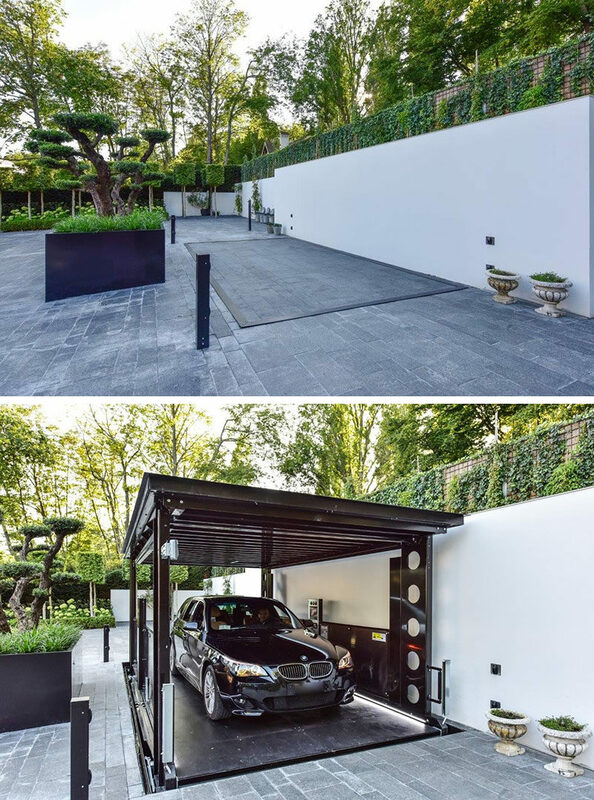 If you want to have a garage, but don’t want to have it seen, IdealPark Car Lifts have come up with a way of including a garage, but in a very James Bond kind of way. 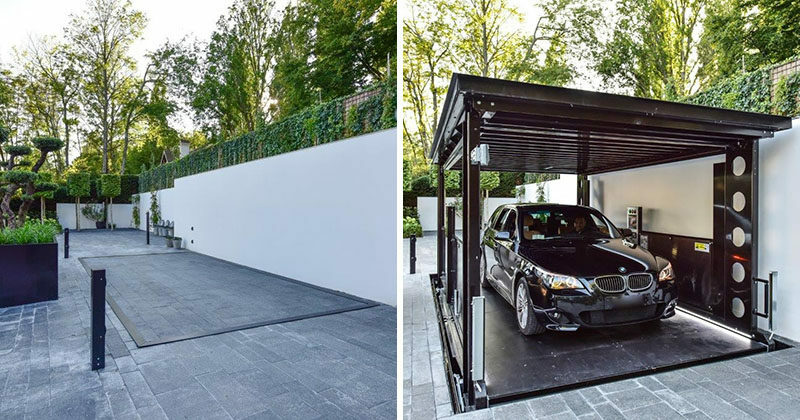 They create personalized and secure parking spots for your car underground to ensure that nobody can get to it unless they have the coded key required for entry. It’s essentially a large lift that you drive into. 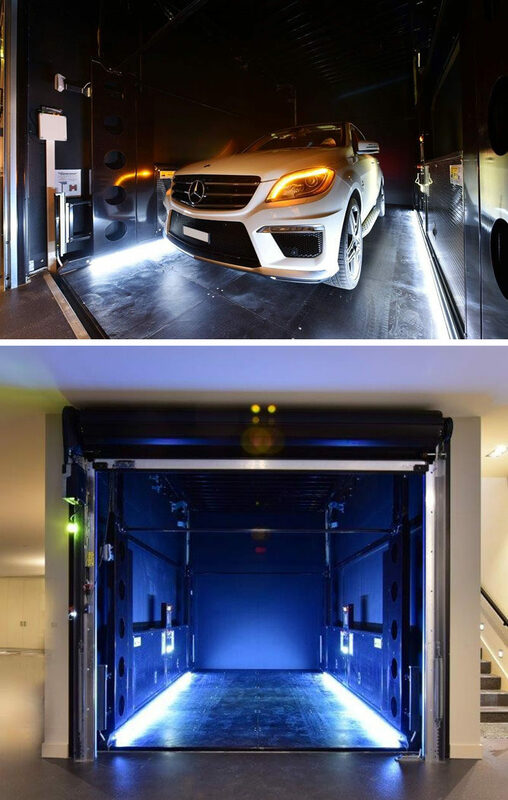 The lift then lowers the car, with you in it, and parks it underground, making it easy to access your car from within the house or vice versa. Once the car is hidden away, the top surface can be matched to the rest of your landscaping or driveway, while inside the lift, the platform can be customized with custom lighting, colors, and finishes.